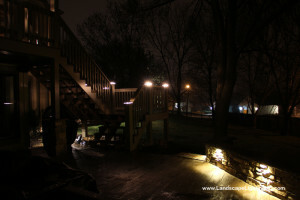 This deck in DeSoto, KS was built by All Weather Decks. 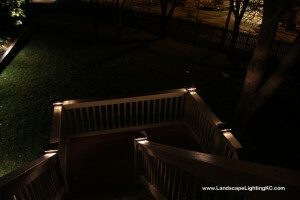 We installed the step lights and deck lights / lighted post caps to match the white railing. I don’t have any night shots yet, but it looks great! 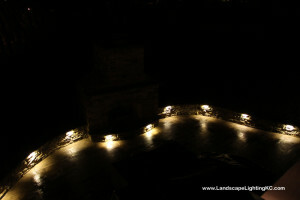 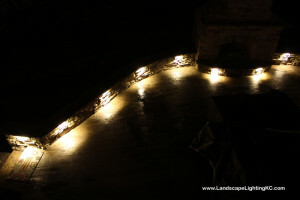 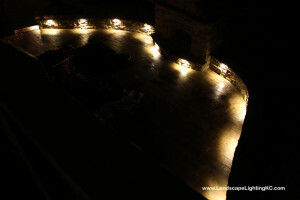 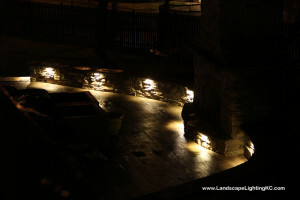 If you are looking for some nice ambient deck lighting for your deck, look us up or give me a call for an estimate! 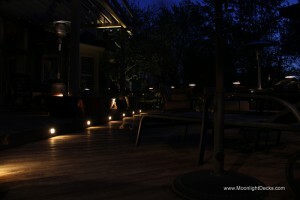 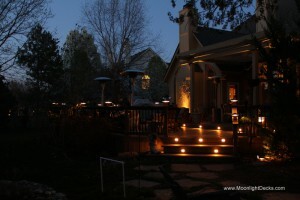 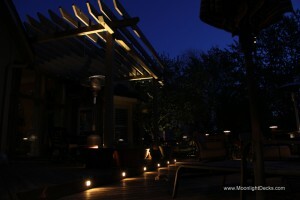 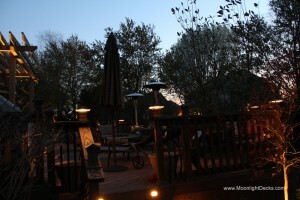 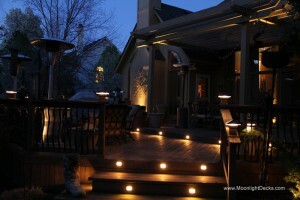 Moonlight Decks deck lighting is the best quality you will find in low voltage deck lights. 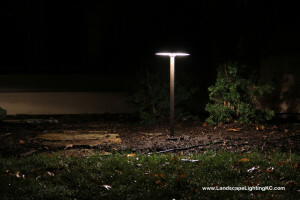 Our lighted post caps and deck lights are low profile, put out great light, and will last you for years. 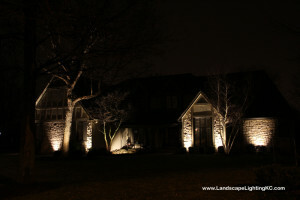 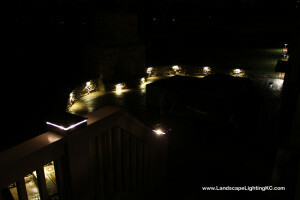 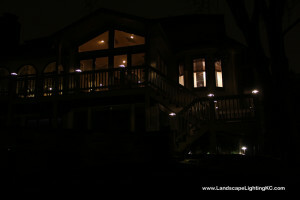 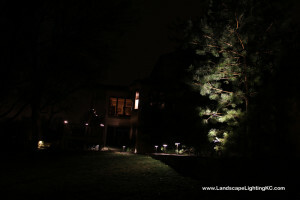 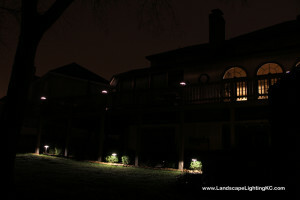 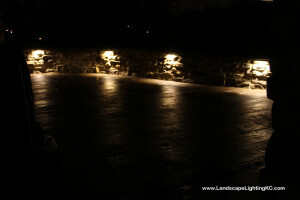 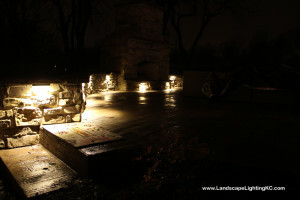 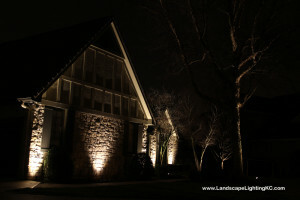 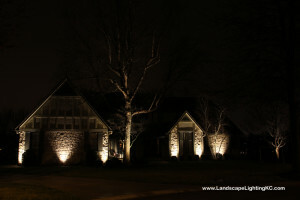 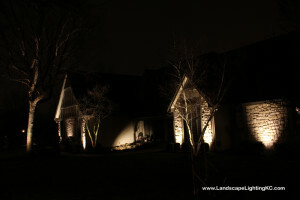 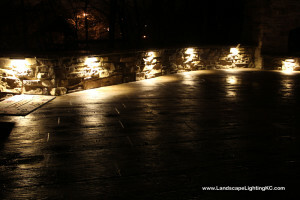 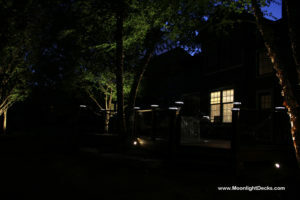 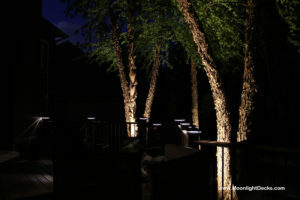 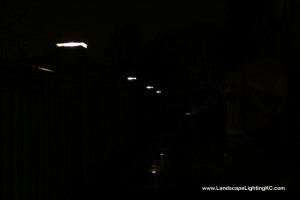 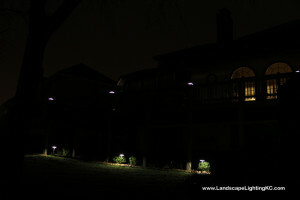 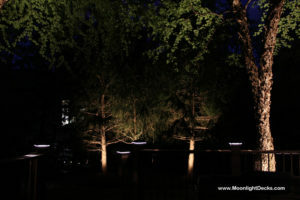 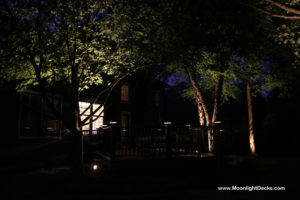 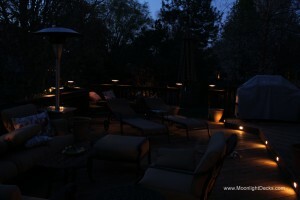 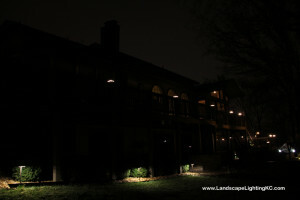 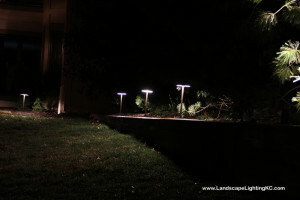 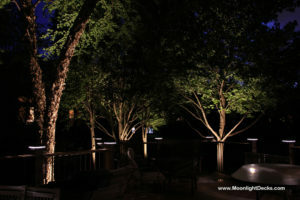 Here is another project in Kansas City that we lit with our smooth black wrinkle deck lights. 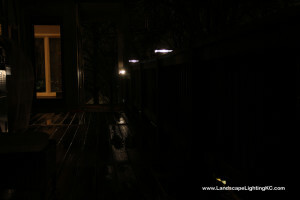 This deck built by All Weather Decks features Evergrain cape cod grey composite deck with white railing. 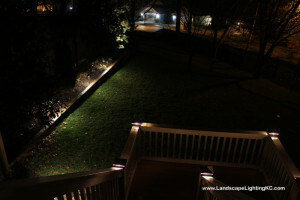 We installed step lighting to make the steps safer and more awesome! 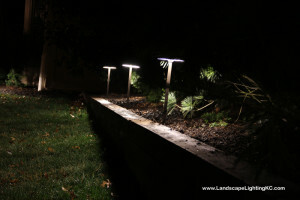 And we installed our smooth white lighted post caps on the composite post sleeves. 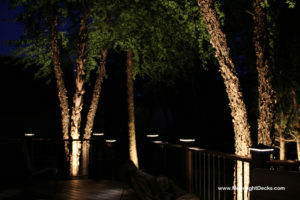 They blend in very nicely and add an extra touch of elegance to the deck during the day and make the deck safer and more romantic at night. 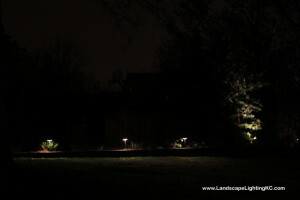 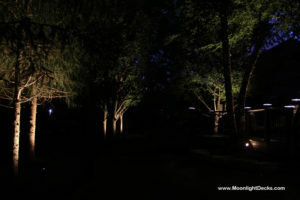 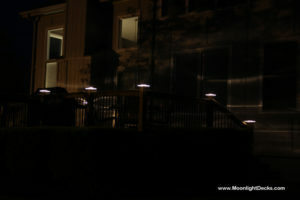 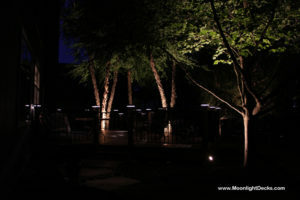 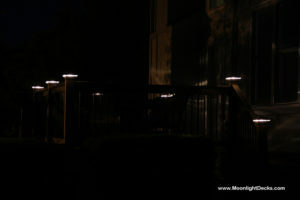 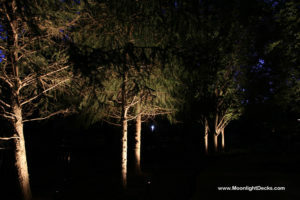 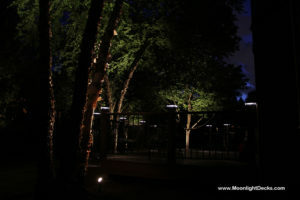 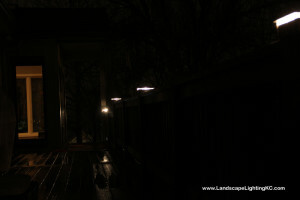 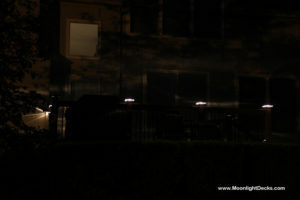 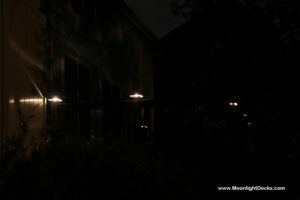 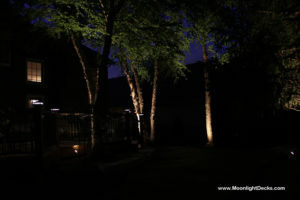 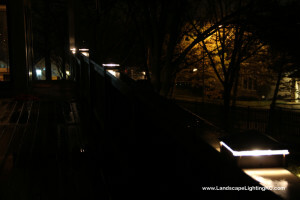 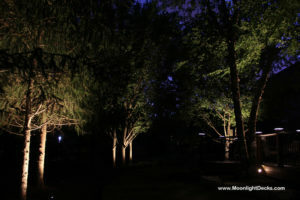 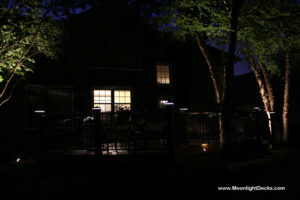 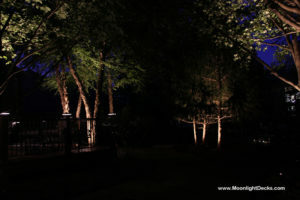 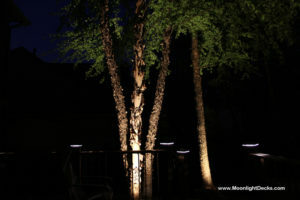 Deck lighting, since it usually goes in the back yard, is a great deterrent to thieves too. Keep your home safer. 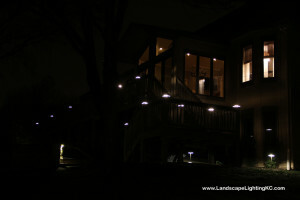 Buy our deck lights! 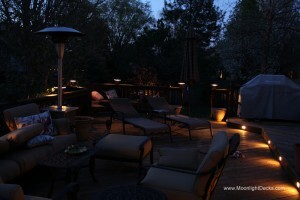 This deck in Leawood, KS is built by All Weather Decks. It is an Evergrain Spiced Teak with composite post sleeves and Westbury handrail. 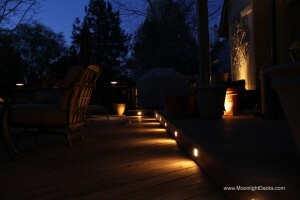 Our lighted post caps make this deck look even better at night! Moonlight Decks deck lighting is a great way to protect your posts from rotting, protect your house from intruders, and add safety to stairs. 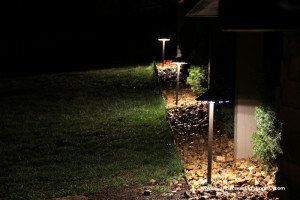 When are you going to get yours? 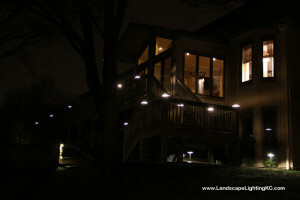 This is a really cool deck built by All Weather Decks here in Kansas City. 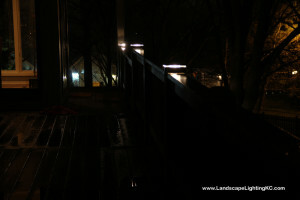 It is a Timbertech deck with post sleeves. 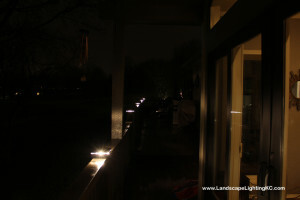 We installed our lighted post caps / deck lights on each post and louvred step lights on every other step. 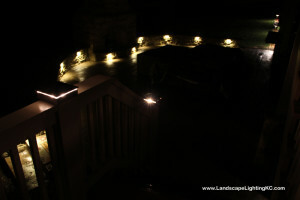 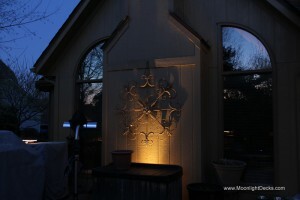 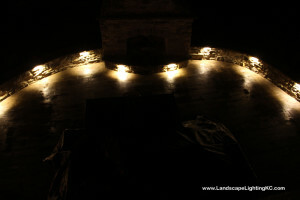 We also added 2 really neat lights at either end of the knee wall next to the fire pit. 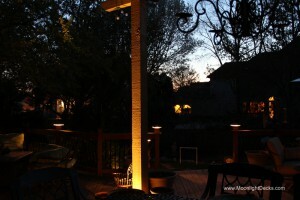 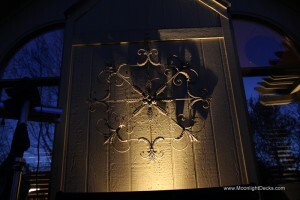 Overall these are some of our best pictures of deck lights.